Congratulations for your interest in setting up your longterm vision. You are well assured that you are at the right place. You will get help in this endeavor of yours. We are Ivan Tsukev and Nikolay Trifonov, two guys who work on achieving their objectives. We also want to help others to do so and thus have a happier life. And all that thanks to our system – “Goal Buddy”. This system was developed after years of studied interest in the area. 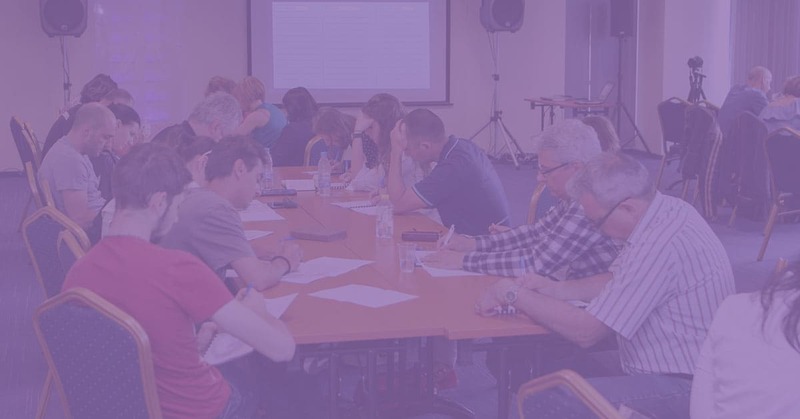 First, we researched different methodologies, then we devised new ones and finally, we applied them to our own experience of setting up and working towards achieving personal goals. This insight gave us the confidence that if you follow the system, your success is guaranteed! We found out that this system is, in fact, so effective that it had to be shared with all those who struggle hard on a daily basis to find success. Therefore, our mission became helping people to achieve their goals, to fulfill their potential and have a fuller life. Our hope is that you will be among them. There are 3 steps in “Goal Buddy” – a longterm vision, 90-day action goals and weekly steps. The articles are a part of our vision for the development of this system. We will make baby steps and will advance hand in hand. Our first task is vision building. In today’s topic, we will explain the central role of vision in reaching your objectives. What is the first step in realizing your dreams? If you have a long-term vision of how you want your life to be in about 30 years, then this will give you in the first place a specificity of where you want to arrive at. This clarity, this guiding light will be of great help on your way when you have to make decisions, to seise or pass on opportunities. Having a well-defined idea about your destination, you see with greater focus what directions to follow in order to get there. Long-term vision makes it much easier to make your mind. It gives you the confidence that your decisions are correct, as long as they get you where you are heading to. There is a non-stop overflow of options in today’s extremely dynamic life with its many contacts, diverse interests, and multiple opportunities. The ever-changing life circumstances could be for good, or on the contrary, for bad – you could get lost and distracted by too many different pursuits which are not necessarily in line with your life vision. Having an unambiguous vision, you easily follow the path and have no trouble making your mind what opportunities to embrace (because they are in sync with your objective) and which to pass on (since they would have pulled you away from it or even have set you back). Think how everybody has such an experience! When was the last time you had the chance for a drastic change? You had to make a choice and it was influenced consciously or not by your direction, was it not? (If not then you would have probably decided wrongly…). It turns out, that when you build your vision and have long-term goals for every life aspect, all the confusion melts away and life makes better sense. You get up in the morning filled with energy, your day unfolds differently and you know, that all you are doing is in the direction of achieving something meaningful. Your vision summarizes your main goals in different aspects of life and thus you get focused much easier on what’s most important. The absence of focus is one of the top reasons for failing to meet the objectives in 94% of the cases. At the same time, focusing on one or two basic things are proven to be much more effective and guarantees success with less effort. Why do you need timeframe? Motivation to act in the chosen direction. In “Goal Buddy” vision is for 30 years, goals are 3 months; followed by small weekly steps towards achieving them. Time horizon is particularly crucial. Without it, vision is often hard to be spaced in time. Its long-term nature turns it into something abstract for most people. If you have a vision with no horizon, i.e. “till the end of my life”, then this often becomes a bit fuzzy. It doesn’t urge purposeful actions. On the other hand, the 30-year limit is similar to “life vision”. And yet, giving it a timeframe, you can visualize the specifics. This makes it more real and, in turn, requires concrete steps towards the goal. However, most people find long-term vision difficult to define. How to lay out such a long-term vision? The mere length of its span is a showstopper for you to lay the vision out. This barrier is rooted in the dynamic nature of life nowadays – it is changing fast, literally, everyday technology changes the environment, the industry, the role of humans in it. The unbelievable speed of the modern world forces you to perceive your life as unpredictable. You are rushed to the assumption that designing a longterm vision is something unrealistic. (“What’s the point! There is no way to know what and how will change by then!”). To make your life less chaotic you have to answer not what will change but what is not going to change in next 30 years. Just think about which are your fundamentals and pillars as an individual! Some things never change. Ask yourself which are the things you don’t expect to ever change. This will help you build a vision. The straightforward example is your attitude to health. It doesn’t matter whether now, or in 30 years, you will be still wishing to be healthy and in a good physical shape, to have the energy for the things you love to do. There is no way this vision of yours will ever change in the next 30 years. Still seeming too long of a period? Then look at some of the most successful companies that are thriving in fast-changing industries: Tesla, Amazon, Alibaba. All of them have long–term visions even if they compete in extremely dynamic markets. The founder of Alibaba, Jack Ma, is a true visionary. He wanted to underscore the importance of the long-term vision for the development of his company when he created it in 1999. His plan was for Alibaba to span over three centuries, which it will if it’s around for 102 years – all the way up to the year 2101. You need a lifelong vision that becomes a guiding light. On one hand, it can be something of a daydream with no deadline whatsoever: you neither want it entirely fulfilled, nor be done with it. On the contrary – you want to pursue it just like it is the horizon which you will never reach but you nevertheless strive towards. However, this gives meaning only to the journey. On the other hand, assigning a deadline of 30 years to the vision makes it a subject to a specific plan of action in any given moment. When placed in a time-frame, vision is transformed into a real thing. It is something you can grasp, and get motivated to put the effort into hitting its target. In both cases, the clear layout of your vision’s time-frame brings it out of the realm of dreams and roots it firmly into reality. A person without vision can easily lose focus doing a thousand things which gives them the false impression of being productive. In fact, that person is getting nowhere. We all have periods like that in our lives. To have a vision is to concentrate your actions in the chosen direction. This charges you with feelings like the sense of meaning, purpose, and wholeness. These, in turn, energize you abundantly for a worthwhile life motivated by the ambition of becoming the best version of yourself. Your vision has to have this motivating power. You need to jump right out of bed in the morning, eager to work towards your vision. Otherwise, something with it is not right – maybe it is not enough fun, interesting, or moving. How many and what visions to build. In fact, it cannot be just one vision. It’s good to have a few – one for each area of your life – health, family, friends, relationships, entertainment, vacations, etc. You can start by identifying the important aspects of your life. Then you devise a one for each of them. For example, almost everybody has a vision about health, financial stability, and professional development. The number of these shouldn’t exceed 5 or 7. For starters, you deal with 1 or up to 3. They should be inspiring to the utmost – visions that give you a real kick, high octane fuel for the day, a call to arms in the morning. It will do you no good if you spread thin with dozens of competing visions. It’s better to combine several from different areas in your life. There are also those top priority visions that once achieved, unlock the doors to accomplishing others. For example, when you excel in your career then you simultaneously make progress towards your financial independence. It’s a must to keep in mind the above when you formulate your visions. You lay them out with clear boundaries and greater detail but as few as possible – the cumulative effect being goals that are much easier to reach. Which is the one goal, which will force other goals into accomplishment or even make them unnecessary? You have a big goal, which, once achieved, has the domino effect on the rest. When you have a long-term vision it seems that possibilities find you, that they jump out from nowhere. Or that you just opened your eyes and just saw them. As if all of a sudden you got perceptive to all these opportunities that surround you every day and only now you have the ability to appreciate and take advantage of them. But this happens only if you know what you want. If you ask randomly a number of people on the street “Do you know what you want?”, everyone will invariably say that they do, that they have dreams. Very few will describe these in detail and practically no one will be able to show real goals in writing on their way to fulfilling these dreams. In order to activate opportunities, you need to know what you want. That’s the question: do you know what you want? We, however, can do that. We were always curious about it. 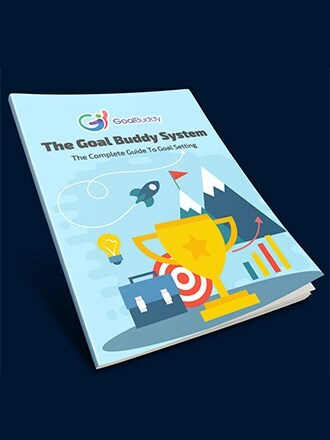 In fact, that’s how it all started, the birth of the system “Goal Buddy”. In the process of many years we both, and independently from each other, had had interest in goal setting. Each of us had his own system, his own list of goals, each of us worked towards an end. But we also had difficulties, periods of ups and downs, distractions. We met around 5 years ago and by pure luck struck a conversation about this. A few minute talk grew into hours of discussion about our common experience. It wasn’t long after that we started helping each other in reaching our objectives. Each week we would talk for about 20 minutes, we shared what was accomplished in the last few days and what was ahead for the next week. Thus we arrived at a simple but genius conclusion – one needs a friend, a buddy for the goals, i.e. “Goal Buddy”. How often the reason for failure was that you didn’t get any assistance! And how much easier it is not to get off the path when you share with a trusted one who helps you follow the chosen direction! It turns out that when one has the resources, a proven system, and a friend’s helping hand, then realizing goals is not only possible, but also quite easy. That’s how natural the birth of “Goal Buddy” was. It became in no time our system for getting things done. We decided it was too good to keep it only to ourselves. We developed it further, we tested it, we refined it. Now is the time to share it and help you achieve your goals. Our vision for the system includes web-based resources, a book, a mobile app, workshop, podcast. With all these, we want to hand you the tools for success. We will be happy if you use the system as a whole or just elements of it. There are many interesting topics down the road and we hope you follow them. Hand in hand we will make these thematic steps towards the realization of your goals. We will be quite happy and thankful for your feedback. The project is designed to be of value to you and that’s why the opinion of our readers and followers is crucial. It will aid us to be of even greater help to you. If you liked the topic then share it with friends and don’t miss the next one! ← Why people fail to achieve their goals and dreams?